A leaked report on illegal oil sales by Islamic State (IS, formerly ISIS), which was ordered to be compiled by Norway, has revealed that most IS-smuggled oil has been destined for Turkey, where it is sold at bargain prices. Norwegian daily Klassekampen leaked details of the report, which was put together by Rystad Energy, an independent oil and gas consulting firm, at the request of the Norwegian Foreign Ministry. The crude is reportedly sold on the black market at greatly reduced prices, while the Brent benchmark is currently trading at $35-$50 per barrel. To compile the report, which is dated from July, Rystad Energy used its own database as well as sources in the region. In the beginning of December, the Russian Defense Ministry released evidence which it said shows most of the illegal oil trade by IS going to Turkey. 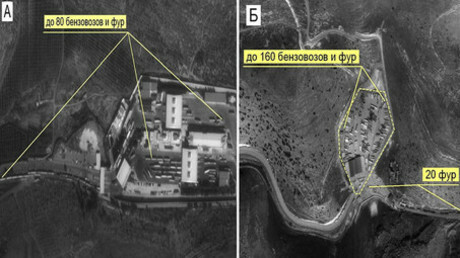 Russia has earlier said it is aware of three main oil smuggling routes to Turkey, and Deputy Defense Minister Anatoly Antonov presented video evidence of operations, as well as detailed maps, at a briefing for journalists. Ankara has denied the allegations. Erdogan said that nobody had a right to “slander” Turkey by accusing it of buying oil from Islamic State. Erdogan even claimed that he will resign if such accusations were proven to be true. Moreover, the US has defended Turkey, denying any ties between Ankara and IS. Last October, US Under Secretary for Terrorism and Financial Intelligence David Cohen said IS was earning $1 million a day from oil sales. 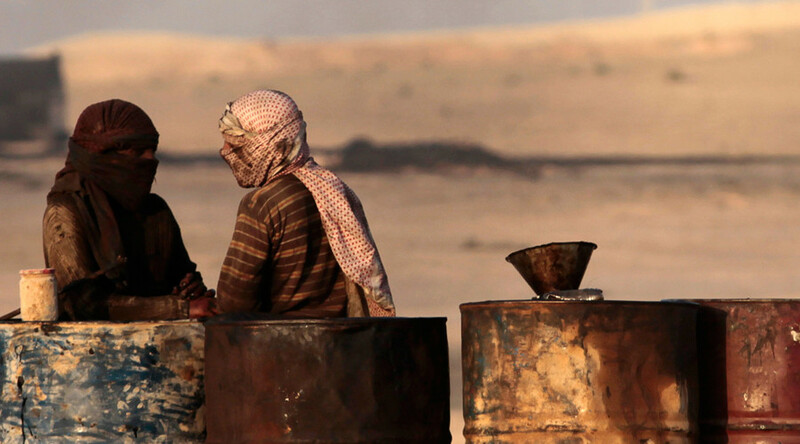 “According to our information, as of last month, ISIL was selling oil at substantially discounted prices to a variety of middlemen, including some from Turkey, who then transported the oil to be resold. It also appears that some of the oil emanating from territory where ISIL operates has been sold to Kurds in Iraq, and then resold into Turkey,” he said. These revelations come as the UN Security Council has passed a resolution strengthening legal measures against those doing business with terrorist groups. It stems from a UNSC action taken in February against illegal trafficking of antiquities from Syria, which threatened sanctions on anyone buying oil from IS or the Al-Qaeda-linked Al-Nusra Front and urged that no ransoms be paid to terrorists.